Prof. Leilei Gao is an Associate Professor of Marketing at The Chinese University of Hong Kong (CUHK) Business School. She received her PhD in Marketing from Stanford University. Prof. Gao’s research interest centres on situational influences on consumers’ decision-making, goal-setting and self-regulations. Her research sheds light on the external determinants of goal-directed behaviours, promotes consumers’ self-control and well-being, and guides the design of effective marketing programmes. 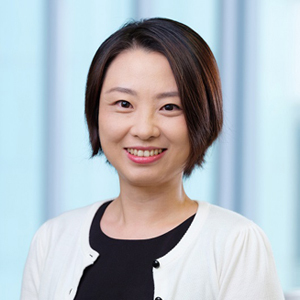 Prof. Gao’s research has been published in journals such as Journal of Marketing, Journal of Consumer Research, and Journal of Consumer Psychology. Zhang Yan and Leilei Gao (2016), “Wanting Ever More: Acquisition Procedure Motivates Continued Reward Acquisition”, Journal of Consumer Research, Vol. 43 (August), 230-45. Leilei Gao, Yanjie Li, and Robert S. Wyer (2016), “Choosing Between Two Evils: The Determinants of Preferences for Two Equally Goal-Inconsistent Options,” Journal of Consumer Research, Vol. 42 (January), 1002-12. Leilei Gao and Itamar Simonson (2016), “The Positive Effect of Assortment Size on Purchase Likelihood: The Moderating Influence of Decision Order,” 9, 26(4), 542-49. Lei Su and Leilei Gao (2014), “Strategy Compatibility: The Time versus Money Effect on Consumer Decision Making,” Journal of Consumer Psychology, 24(4), 549-56. Leilei Gao, Yanliu Huang, and Itamar Simonson (2014), “The Influence of Initial Possession Level on Consumers’ Adoption of a Collection Goal: A Tipping Point Effect,” Journal of Marketing, 78, 143-56. Leilei Gao, Christian Wheeler, and Baba Shiv (2009), “The ‘Shaken Self’: Product Choices as a Means of Restoring Self-View Confidence,” Journal of Consumer Research, 36, 29-38. Yunqing Chen and Leilei Gao, “The Identified Donor Effect,” under review. Tao Tao and Leilei Gao, “Treasure Hunting in a Mess: The Positive Randomization Effect,” under review. Tingting Fan, Leilei Gao, and Yael Steinhart, “When Small Predicts Large: The Effect of Early Contribution Amount on Subsequent Contributions to a Crowdfunding Project,” under review. Leilei Gao and Yan Zhang, “Variety Seeking in Resource Allocations,” under review.